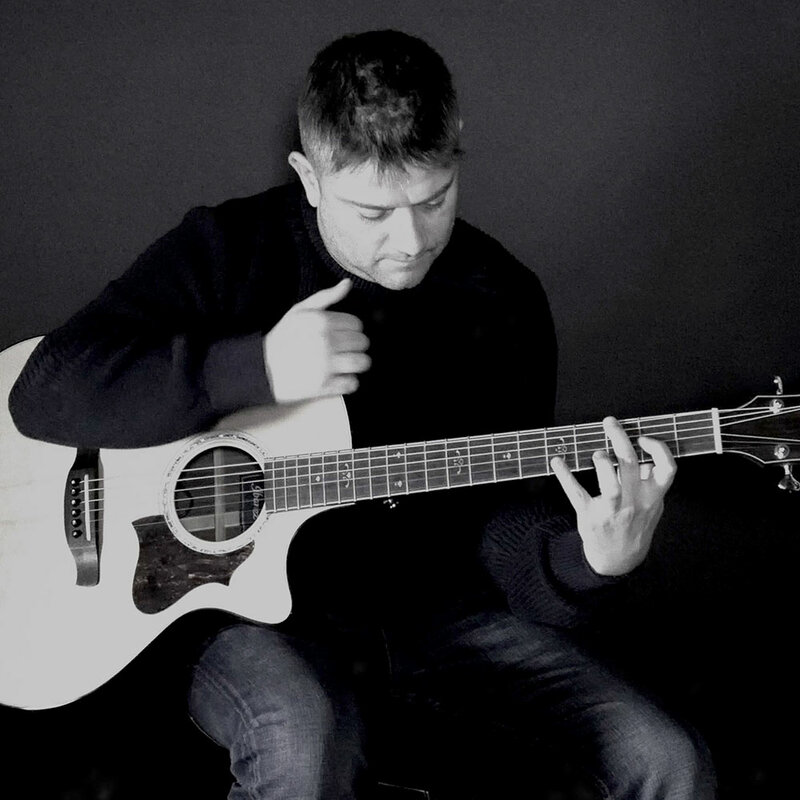 A rising star in the guitar World, Pete Kent is a fingerstyle acoustic guitarist from Wolverhampton UK whose style of playing encompasses bass lines, chords, melody and percussion simultaneously. Pete's performances of his own compositions and arrangements (in addition to famous covers) have gained him plaudits from world renowned guitarists Andy Mckee, Michael Fix and Level 42 bassist Mark King, along with an army of fans. Pete's Music is regularly shared widely across Social media and has been featured by Acoustic Guitar Magazine U.S.A and Guitarworld.com. In 2015 Pete signed to Revolver Records in the UK and has released two studio albums "The Sands Of Time" and "The Hidden Hand" both of which received 5star reviews. 2018 see's him on the verge of releasing his third studio album.